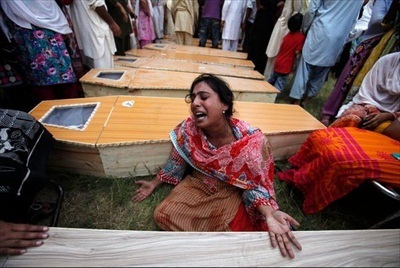 Hazara community, across the world, have expressed solidarity with the Peshawar church blast victims. The blasts on Sunday, Sept 22nd, at the historic All Saints Church killed 83 and injured over a hundred, including scores of women and children. The blasts were a painful reminder of the two major terrorist attacks targeting Hazaras in Quetta, Pakistan. On Jan 10, 2013, the twin blast in the Hazara enclave of Alamdar Road by Al-Qaeda/Taliban affiliated terrorists killed over 108 and injured over 120. A second major attack on Feb 16, 2013, targeting Hazaratown enclave killed over 94 and injured over 190. The Jan 10 attack set history of a peaceful protest in Pakistan as Hazara men, women, children, sat quietly with the coffins of their loved ones for over 76 hours in sub-zero temperatures to force the government in dismissing the state government in Balochistan. The Hazaras were joined by civil society across Pakistan and all over the world to condemn the attack. 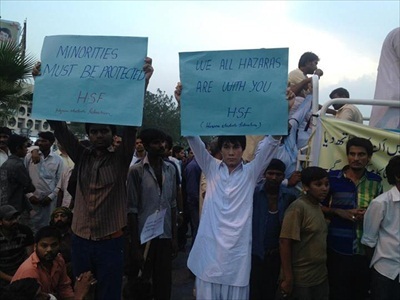 The Hazaras for Humanity (H4H) and Hazara Students Federation (HSF) joined the Christian community and civil society in the capital Islamabad to condemn the attacks and to express solidarity with the Christian community. 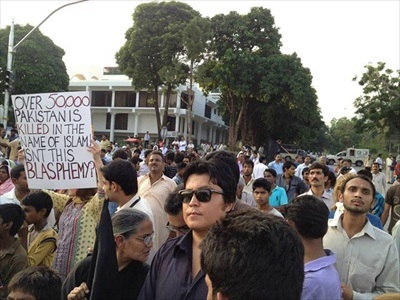 Hazaras forums on Social Media were abuzz with expressions of solidarity with the Christian community in Pakistan. Below are some of the messages from Hazaras from USA, UK, Australia, EU region, Afghanistan and Pakistan.